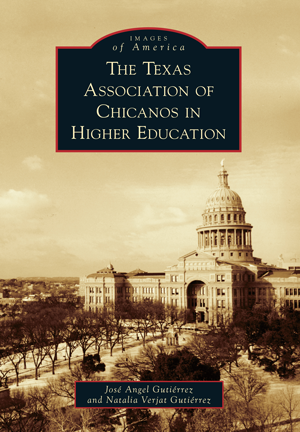 For the past 40 years, the Texas Association of Chicanos in Higher Education (TACHE) has been on the forefront of advocacy to improve opportunity in higher education for US persons of Mexican origin. Chicano faculty at the University of Texas, together with a few Chicano students, organized the group's first gatherings in 1974, and since then, TACHE has held thematic annual conferences that signal its mission and program focus and allow professional networking. Chicano faculty and students in colleges and universities have increased, but much still remains to be done. Although funding for education is drastically being cut, Chicano and Latino students are at the front door of higher education, and the number of college-ready students is reaching significant levels across the nation. The official designation of Hispanic-Serving Institution (HSI), for schools with Chicano and Latino student enrollment in excess of 25 percent, has become a badge of honor among colleges and universities. Authors and TACHE members José Angel Gutiérrez and Natalia Verjat Gutiérrez have researched numerous records and combed the archives at the University of Texas–Austin to help tell the TACHE story. They are thankful for other TACHE members who have shared their photographs to document and preserve the organization's history.